With a rich history of wine production dating back to biblical times, Israel is a part of the cradle of wine civilization. Here, wine was commonly used for religious ceremonies as well as for general consumption. During Roman times, it was a popular export, but during Islamic rule around 1300, production was virtually extinguished. The modern era of Israeli wine-making began in the late 19th century with help from Bordeaux’s Rothschild family. Accordingly, most grapes grown in Israel today are made from native French varieties. Indigenous varieties are all but extinct, though oenologists have made recent attempts to rediscover ancient varieties such as Marawi for commercial wine production. In Israel’s Mediterranean climate, humidity and drought can be problematic, concentrating much of the country’s grape growing in the north near Galilee, Samaria near the coast and at higher elevations in the east. The most successful red varieties are Cabernet Sauvignon, Merlot, and Syrah, while the best whites are made from Chardonnay and Sauvignon Blanc. The main objective of this tasting is to explore and asses a sample of wines from Israel. Lamb with rosemary sauce and green beans, zucchini and broccoli. (The information below has been compiled from various internet sources) . The Wine: The wine is produced from 100% Chardonnay grapes, picked from the vineyards of the Barkan Winery in the Upper Galilee region and the Jerusalem Mountains. The wine has an abundance of fragrances and tastes of citrus fruit and white peaches with a smooth and round finish. 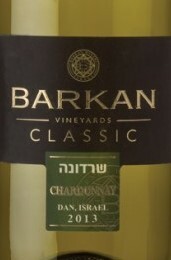 The Winery: (From Wine.com) Barkan was founded in 1899, to produce sweet Kiddush wine and brandy for the Jewish settlement in Israel. In 1990 the winery set forth on a program of modernization and planting of vineyards and selected Kibbutz Hulda to be a good site for the new center. 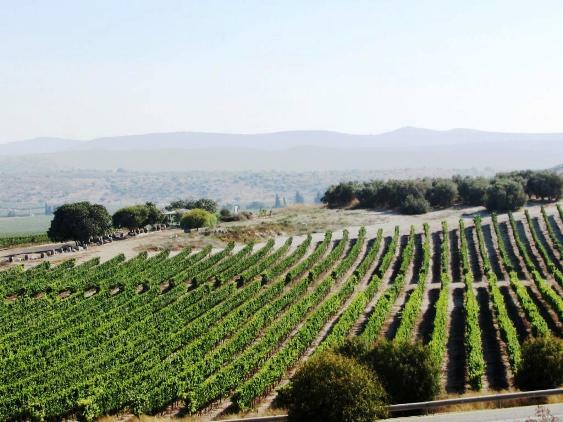 The proximity to one of Barkan’s main vineyards – Hulda – was the most important consideration, and its central location, close to major roads and removed from urban areas, was also important. Barkan receives grapes from vineyards from all the best regions in Israel. The winery’s location allows the grapes to be quickly transported to the winery, to insure freshness and to maximize quality. In addition, the strategic location was optimal for distribution of the bottled wine to market. The Wine: WE: With aromas of cherry, cranberry and chocolate, this wine offers similar notes on the palate, along with a hint of eucalyptus. Its strong and slightly grippy tannins are kept in check by vibrant acidity that triumphs on the mint and orange finish. The Winery: The fundamental wine of the Yatir Winery, which has been listed in some of Israel’s finest restaurants, presents stability and consistency of the highest quality, year after year. The wilderness, the mountain and the vegetation on the reservation, along with Mount Amasa (at an altitude of 859 meters+) border the Yatir Forest and its vineyards and serve as a unique meeting place between the mountain and the desert, the snow and the sun, the rocks and earth – all which embody the nature of the Yatir wines. This is how the new name of the wine was conceived. Up to the 2010 vintage, it was called “Yatir Merlot / Shiraz / Cabernet.” The wine is based on Cabernet Sauvignon and Shiraz varieties. As with similar climatic regions in the world (the South of France, Australia), the combination of these varieties is synergetic and it intensifies the wine with a refreshing, peppery body of the Cabernet and a fruity softness and smoky zing of the Shiraz. The Winery uses varying percentages of Merlot / Malbec / Petit Verdot and Cabernet Franc in its blends. The assortment of varieties contributes to the accentuation of the regional character of the wine over the nature of each individual variety. The wine is aged for approximately one year in small barrels (225 liters) and in large wooden containers (5,000 liters), with the goal of obtaining fresh fruit and mineral-oriented wine, with no emphasized wood flavors. The Yatir-like nature of the wine is manifested in the firm structure of the wine and its aroma of Mediterranean seasoning herbs (sage, rosemary, thyme) which blend beautifully with the fruit flavors. The wine is bottled and marketed after two additional years of further aging in the bottle. 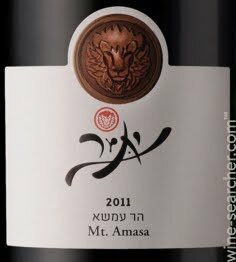 The Wine: This Cabernet Sauvignon plot grew in the Upper Galilee’s Kedesh Valley. This unique area is characterized with stony Terra Rossa soil causing the vine roots to search for stored water deep into the layers of rock contributing to a strong and balanced wine. The Winery: Tabor is known as one of Israel’s largest wineries that feature many premium wines in their portfolio (it is the 5th largest but should be noted that there’s a big difference in volume between Tabor and the 4th largest winery). The winery was started in 1999 by four growers in the Tabor Village (Kfar Tabor), in the Lower Galilee,. Over the years, they have been able to grow from producing 30,000 bottles a year to close to two million. Tabor Winery does not own any of their vineyards, which is common in Israel, yet they have long relationships and contracts with their growers that are typically between 17 to 18 years with stipulations added from both sides to protect the interests of each party. 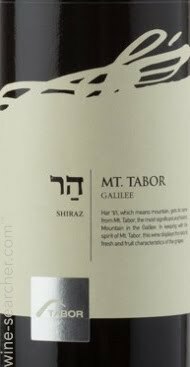 Tabor is known for their impressive Cabernet Sauvignon wines, and it is no surprise noting that they work with 30 different individual Cabernet Sauvignon plots from an array of vineyards across Israel. The Wine: This wine’s bramble fruit and violet aromas set the scene for raspberry, lavender and tobacco flavors. It’s smooth on the palate, with a nice balance of fruit and savory characteristics and a zesty finish marked by a touch of salinity. In the select vineyards of Tabor Winery in the Galilee, high-quality Shiraz grapes were grown and carefully harvested. From these grapes we created the wine while paying close attention to preserving the natural aroma and original flavors of the grape variety. The wine consists of 90% Shiraz grapes and 10% Cabernet Sauvignon. By maintaining the freshness and vitality of the grape, this variety’s classic aromas and flavors of ripe fruits and violets combined with light earthy notes are present. The wine is soft-bodied with round velvety tannins and is light and pleasant to drink. The wine was especially created for moments of joy, closeness and good friendship. It is fresh and fruity and carries the spirit of Mount Tabor. Tastes great with leaner red meat, stew, and mildly spicy ethnic foods. The Middle East & Eastern Mediterranean was the cradle of the world’s wine culture, and Canaan must have been one of the earliest countries to enjoy wine, over 2,000 years before the vine reached Europe. The oldest grape pips found in the regions of modern Turkey, Syria and Lebanon date back to the Stone Age period (c. 8000 B.C.E.). The art of winemaking is thought to have begun in the area between the Black Sea, the Caspian Sea and the Sea of Galilee. Indeed, the oldest pips of ‘cultivated’ vines, dating to c. 6000 B.C.E., were found in Georgia. The biblical Noah was the first recorded viticulturist who, after the flood, “became a husbandman and planted a vineyard.” As The Book of Genesis relates, he was also the first person to suffer from drinking too much! The vine then traveled south, through Phoenicia and Canaan to Egypt, the world’s first great wine culture. It is known that the Egyptians particularly prized the wine of Canaan. In the Book of Numbers, the story is told of how Moses sent spies to check out the Promised Land. They returned with a cluster so large, that it had to be suspended from a pole and carried by two men. Today both Carmel Winery and the Israel Government Tourist Office use this image as their logo. The grapes were chosen to symbolize how the land flowed with milk and honey. The vine was one of the blessings of the Promised Land promised to the children of Israel. In recent years excavations have uncovered ancient presses and storage vessels that indicate a well-developed and successful wine industry existed in the area. Grapes, grape clusters and vines were frequent motifs on coins and jars found from ancient times. Coins have been found commemorating the victories of the Hasmoneans and Bar Kochba with grapes featured as a symbol of the fertility of the country. Many wine presses and storage cisterns have been found from Mount Hermon to the Negev. The Kings of Judah were said to have owned vast vineyards and stores for wine. King David’s wine holdings were so substantial that his court included two special officials to manage them. One oversaw the vineyards and the other the cellars. This may have been Israel’s first sommelier! At this time the Jewish devotion to wine was clearly shown in their developing literature, lifestyle and religious ritual. Indeed, anyone planting a new vineyard was exempt from military service, even in national emergency. In about 1800 B.C.E. there was a communication which reported that Palestine was “blessed with figs and with vineyards producing wine in greater quantity than water.”The Book of Isaiah gives very clear instructions of how to plant care for a vineyard, even to the point of suggesting the wine press is close to the vineyard. Micha’s vision of peace on earth and harmony among men was illustrated with, “and every man will sit under his vine and under his fig tree and none shall make him afraid.”The wine produced was not just for drinking but also important for medical purposes, for cleaning out homes and dyeing cloth. It was also used as a currency for paying tribute. The Crusaders briefly revived the cultivation of grapes in the Holy Land and grapes were planted in places like Bethlehem and Nazareth. The revival was short lived, but the Crusaders did return to Europe with many noble grape varieties which had their origins in the Middle East. Varieties such as Chardonnay, Muscat and Shiraz are said to come from the region. On the founding of the Ottoman Empire, the Middle Eastern wine industry was finally obliterated because of the decline in wealth of the whole region and the wars and epidemics which greatly reduced and weakened the populations. Communities which had supported the wine industry finally departed. Prices of wine rose, consumption fell. Hashish, and later coffee, replaced wine as affordable intoxicants. Cheers – or as we say here, Le Chaim – To Life !! Psalm 104:15 wine that gladdens human hearts, oil to make their faces shine, and bread that sustains their hearts. Ecclesiatstes 9:7 Go, eat your food with gladness, and drink your wine with a joyful heart, for God has already approved what you do. CLIMATE: Mainly Mediterranean. Long, hot dry summers; short wet winters; snow on higher ground. Semi-arid & desert conditions, in the Negev. SOILS: Volcanic in north; sandy red soils on coast & chalk & limestone on the hills. HECTARES: 5,500 hectares (13,585 acres; 55,000 dunams). VINTAGE: August to end of October – (often begins late July & occasionally ends early November); Machine & hand harvested. BEST VINTAGES: 2000, 2003, 2004, 2005, 2008, 2012, 2013, 2014, 2016. Israel’s traditional volume varieties, Carignan & Colombard, apart from some quality old vine Carignans, are usually only used in inexpensive blends. They are gradually being replaced by international varieties such as Cabernet Sauvignon, Merlot, Chardonnay & Sauvignon Blanc. Shiraz is proving both popular & suitable for Israel’s climate. Bordeaux varieties have been most successful to date, yet Mediterranean varieties may be more suitable in the longer term. There is research & experimentation with local varieties. Cabernet Sauvignon 19%; Carignan 13%; Merlot 12%; Shiraz/ Syrah 7%; Petit Verdot 6%; Argaman 5%; Colombard 4%; Muscat of Alexandria 4%; Chardonnay 3%; Petite Sirah 3%; Sauvignon Blanc 2%; Emerald Riesling 2%; Cabernet Franc 2%; Malbec 2%; Tempranillo 1%; Gewurztraminer1%, Viognier 1%. LESS THAN 1%: Pinotage; Muscat Canelli; White Riesling; Pinot Noir; Semillon: Sangiovese; Tempranillo; Barbera; Muscat Hamburg; Chenin Blanc; Zinfandel; Grenache; Nebbiolo. LOCAL INTEREST: Argaman, Baladi, Dabouki, Marawi / Hamdani, Jandali.